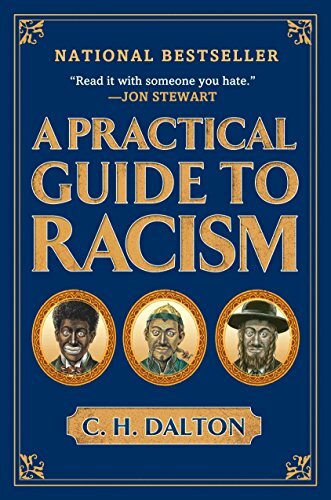 Presenting evidence that everyone should be hated, this guide contains bits of wisdom on such subjects as: the good life enjoyed by blacks, who shuffle through life unhindered by the white man's burdens; and the sad story of the industrious, intelligent Jews, whose entire reputation is sullied by their taste for the blood of Christian babies. Meet C. H. Dalton, a professor of racialist studies and an expert on inferior people of all ethnicities, genders, religions, and sexual preferences. Presenting evidence that everyone should be hated, A Practical Guide to Racism contains sparkling bits of wisdom on such subjects as: * The good life enjoyed by blacks, who shuffle through life unhindered by the white man's burdens, to become accomplished athletes, rhyme smiths, and dominoes champions * The sad story of the industrious, intelligent Jews, whose entire reputation is sullied by their taste for the blood of Christian babies * A close look at the bizarre, sweet-smelling race known as women, who are not very good at anything - especially ruling the free world * A crucial manual to Arabs, a people so sensitive they are liable to blow up at any time. Literally.